At the sight of the bountiful green coffee berries, the visitors from the North who are mostly coffee growers could not believe their eyes. So amazed they were that they could not seem to grasp how coffee trees could grow so low and yet bear so much fruit. What they saw was the coffee farm of Kagawad Cornelio Iraya in Barangay Bagong Silang located at the foot of Kalatungan Mountain Range that is sitting 1,200 feet above sea level in the central portion of the province of Bukidnon. Kagawad Iraya related that his coffee Robusta are mostly 35 to 40 years old already and still bearing bountiful yield. The visitors who are mostly coffee growers from as far as the Mountain Province, Benguet, Ifugao, T’boli, Quezon City, Davao City and General Santos City, are part of the Learning Exchange sponsored by the Peace and Equity Foundation (PEF) on October 24-25, 2017. 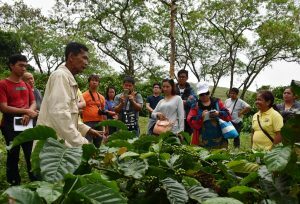 As Kagawad Iraya explained in his broken Filipino about the processes that produced the three to four-foot coffee “hills” sprawled all over his 12-hectare plantation, all the guests listened intently. The gathering of fog that lent a colder atmosphere in the surroundings was not even noticed by the participants who were as focused as their hosts who seemed animated in his explanation. Totally amazed at the scene of bountiful yield surrounding him, Arnold Melicor, a coffee farmer from Hinlu Coffee in Ifugao wanted to learn the farm technique being applied by Kagawad Iraya. 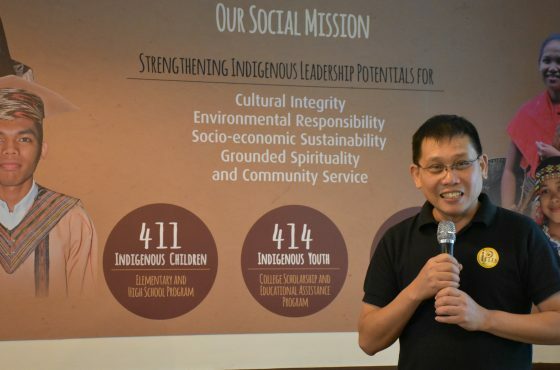 His companion Roland agreed and said the problem of coffee growing in their area is that their location is “prone to typhoon” and what he saw gave him hope that shorter coffee hills are the solutions to their problems. 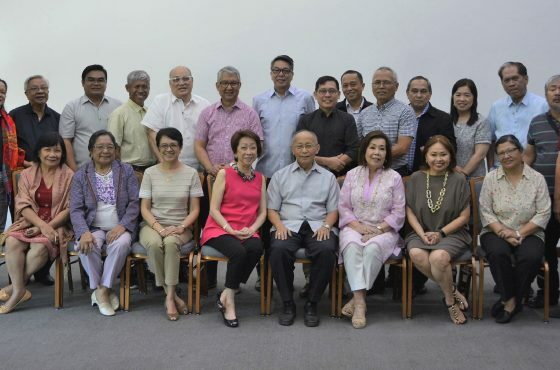 He was also grateful to the Peace and Equity Foundation (PEF) for the opportunity that brought him to Maramag and saw for himself how coffee farmers managed their farms in this region. 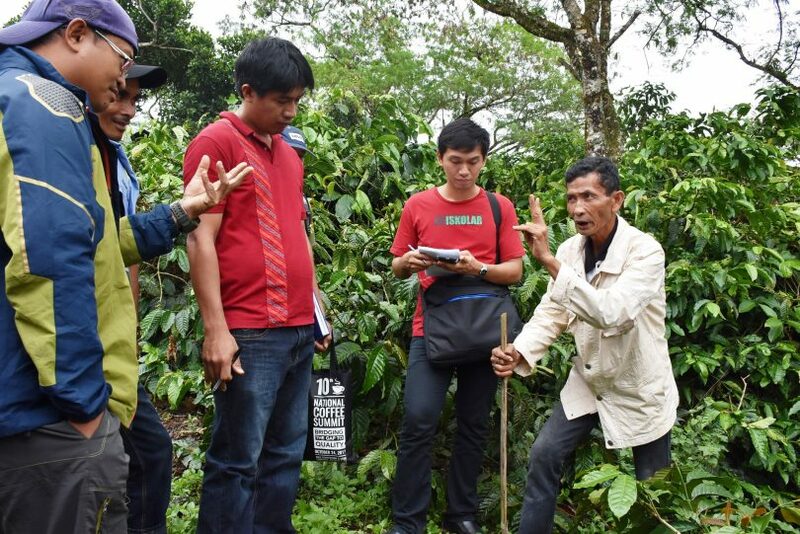 The product of long years of experimentation in his farm, Kagawad Iraya explains to his visitors that what they saw were results of painstaking work in his coffee farm, including ridicules and mockery he earned from other people who did not believe in what he was doing at the outset. Some people who saw him cutting his young coffee plants would mock him saying “Kawawang kape, maliliit pa ginuntingan mo na!” (Poor coffee, so young still but you already cut them! ), they would say laughing. But after a while, the same people were astounded when they saw that the same coffee plant bore the equivalent of three (3) kilos of green coffee beans. 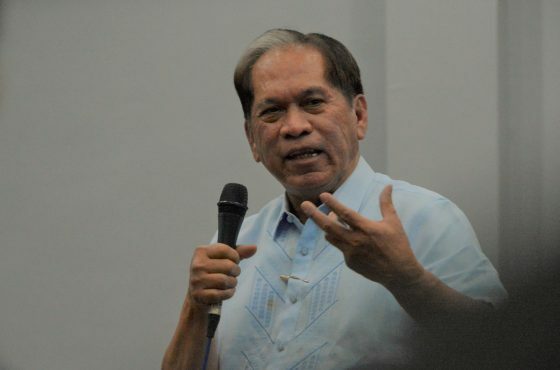 The technique adopted by Kagawad Iraya in sustainable farming practice is not a new one but is actually being practiced in other regions and countries, though it was only in recent years that the coffee growers in Maramag have started doing it. 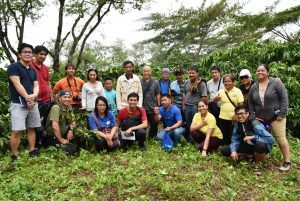 Towards the day’s end, participants to the learning event have surfaced and shared what they think about the exercise and the brief experience with Kape Maramag farmers. Some of them also shared their own experiences with pruning and rejuvenation like the one shared by Ms. Jennifer Rimando of Aguid, Sagada, Mt. Province who said that the learning event opened windows of possibilities for participants who wanted to know about other practices in sustainable coffee farming. Thus, even when heavy downpour have ended the learning session, most of the participants were in high spirits and undaunted, refusing to let the weather dampen the contentment they felt as they left Maramag and headed towards Davao City.